We are already awestruck by Priyanka Chopra and hubby Nick Jonas. Earlier, in December 2018 the couple got married followed by a grand wedding reception. Their pictures from the wedding gave us major wedding goals and we are totally in love with them. Right from their social media PDAs to their dreamy vacations. The duo has been filling up on the couple goals for their fans to follow. The couple is blooming with their own pace as the two have been enjoying the best time of their lives right now. 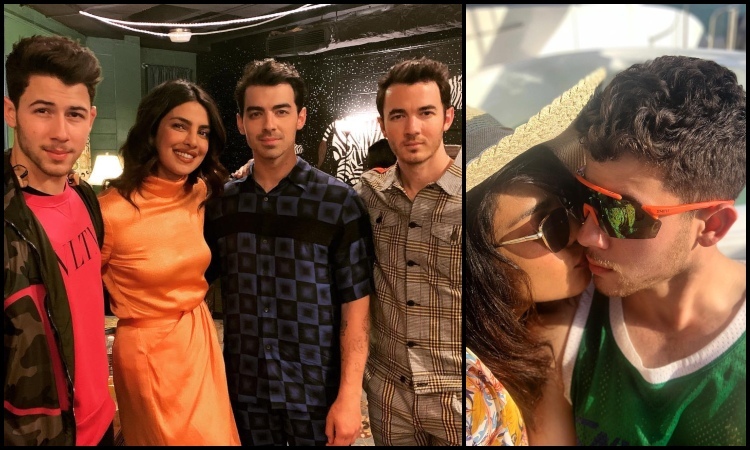 With Nick's single Sucker featuring the Jonas Brothers taking the number one spot on Billboard's Hot 100 and PeeCee joining the Universal Studios as a producer with Mindy Kaling, the two are now on the Beneficiary Committee for the MET Gala 2019. In fact, when we see their relationship it only shows how mature and meaningful their move is as they decided to get married after just two months of dating. During a recent media interaction, Nick made many revelations about how the two encourage each other to reach new heights and how everything he does with PeeCee, they keep the future in mind. The singer said, "I think that in everything we do, you know, my brothers and I, Priyanka and I, everything we do we think about the future, and building something that becomes a part of a legacy in some way, and a story we can share with our kids in the future." Nick is currently promoting his upcoming animated movie Ugly Dolls. On the other hand, PeeCee is working on her upcoming film The Sky is Pink. The actress will be seen sharing screen space with Farhan Akhtar, Zaira Wasim and Rohit Saraf.